Hi there. Welcome to the day 24 of my ‘30 days, 30 posts’ challenge, where I’m writing one interesting investing article daily for the 30 consecutive days. This post is based on the public demand. Past few weeks, I’ve received dozens of emails regarding the suggestions on best value investing books. That’s why I decided to write this blog discussing my personal favorite value investing books which I highly recommend to my readers to read. Quick note: There may be chances that I might miss few amazing value investing books in this post. This can be either because I’ve never read that book or just because it might not be so popular with respect to Indian stock market. 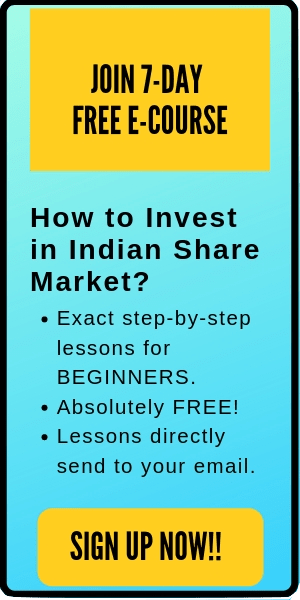 Nevertheless, if I missed any best value investing book that you think is worth mentioning for the readers, please recommend below in the comment box. 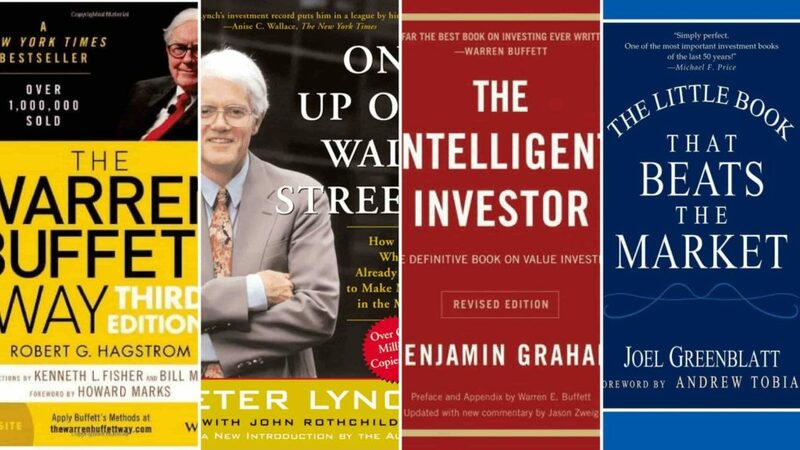 Here is the list of best value investing books worth reading for the stock market investors. Warren Buffett considers this one as the best book ever written on investing (check the cover with Warren Buffett’s comment). And, I agree!! This book contains tons of important concepts to build a foundation of value investing. 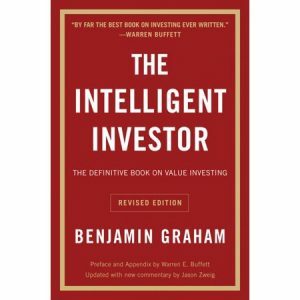 The author of this book- Benjamin Graham is considered as the father of investing. He’s famously credited for popularizing the concept of value investing in the investing population. Coincidentally, he was also the mentor of Warren Buffett at Columbia Business School. After graduation, Graham hired Warren Buffett to work (and learn) in his investing firm. Warren Buffett inherited the principles of value investing from Benjamin Graham, which later helped him to build a great fortune and becoming one of the most successful stock market investors of all time. This book contains a number of time-tested lessons like investment vs speculation, the margin of safety, the concept of Mr market (the fictional manic-depressive character), different approaches for defensive and enterprise (aggressive) investors etc. 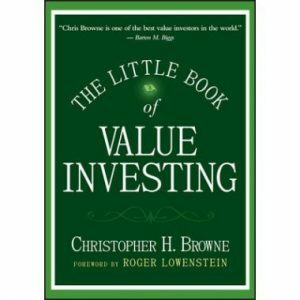 Many people consider this book as the bible of value investing. Overall, this is definitely one of the best value investing books and for the serious investors- this is a must read. If you want to build a strong value investing foundation, I’ll highly recommend you to read this book. You can read the complete book review of The intelligent investor here. Quick Note: Benjamin Graham has also authored another book named Security Analysis, which is also a best-seller. The first edition of this book was published in 1934, shortly after the Wall Street crash and start of the Great Depression in the US. The fact that Benjamin Graham survived the great depression (where dow fell nearly 90% in a stretched period of three years), itself adds credibility to his investing knowledge and experience. This is probably the shortest book that I’ve ever read on investing. You can easily finish this book in one sitting. 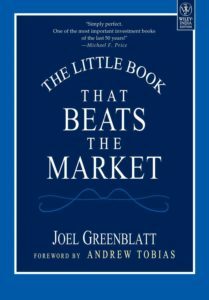 In this book, the author -Joel Greenblatt explains the concept of value investing and his approach to pick winning stocks. He also shares his strategy of ‘Magic Formula’ (that consists of two financial ratios- Return on capital and Earnings Yield) which helped him to pick fundamentally strong companies year-after-year. Overall, it’s a nice read and an excellent place to start reading if you have never invested in stocks before. You can read the full book review of the little book that beats the market here. I started reading this book because I’m a fan of Warren Buffett and wanted to learn his value investing principles and strategies. The book contains all the things that it promises. 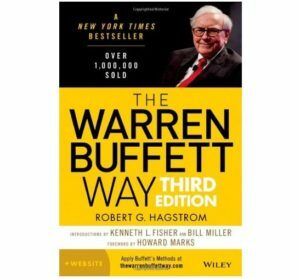 Hagstrom describes the necessary aspects to achieve similar success like Buffett that you can apply immediately to your own portfolio. The good thing about The Warren Buffett Way is the author tends to stay away from high faulting words that make it understandable to anyone willing to learn value investment. The book begins by introducing Warren Buffett’s early life and education and also discusses his first investment at the age of 11 (and the lessons that he learned from it). In next chapter, the book covers his journey of how he read ‘The Intelligent Investor’, got influenced by the author Benjamin Graham, and later end up joining the Columbia Business School, just to learn to invest from Graham. The book also mentions Charlie Munger, the business partner of Warren Buffett and the Vice-Chairman of Berkshire Hathaway and how he influenced Warren Buffett’s investing style. There are a number of key takeaways from this book on management, capital market and business, which can be applied to a wide variety of investing strategies. Overall, The Warren Buffett Way book is a definite guide that can help you to decide how to make critical decisions while researching any company to invest. This is one of the best books written by an Indian author that I ever read. The book educates the readers about the much-needed topics that are ignored by most financial websites, books, and media. The Value Investing and behavioral finance book is well structured and contains 12 chapters. Few of the best ones are- Understanding behavioral traits, Behavioural obstacles to value investing, Contrarian investing, Public sector units, Sector investing, Initial public offerings, Index investing & Bubble trap. I particularly enjoyed reading the chapters on Contrarian investing, IPOs and bubble trap. If you want to get a good insight into value investing in the Indian stock market, then this book is a must-read. 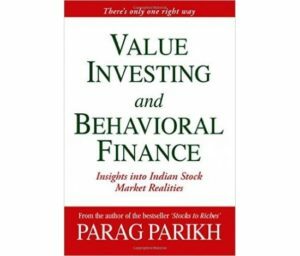 You can read the complete book review of Value Investing and behavioral finance book here. Once you have read the lengthy 600-pages of The Intelligent Investor, this book might seem tiny one with similar powerful concepts. In the book, Christopher Browne uses the analogy of supermarket shopping to explain the concept of buying stocks. At a supermarket, both glamorous and cheap products (on sale) are available. It totally depends on the buyer behavior whether he’ll buy a well packaged expensive product or will choose an undervalued product on sale. Only the value investors take the effort to dive into the market and look for items on discount. There are a number of valuable investing concepts in this book like diversification of stocks, creating a margin of safety, preferring value over growth, shareholding, insider’s buying or selling pattern etc that can help you learn a lot of value investing strategies. Overall, this little book will give you a lot of value investing tips and pieces of advice which can help you to shape your investing strategy. The concept of Dhandho Investing changed the way I look at investing. This is one of most simple yet influential book that I’ve ever read. The book is based on the central concept of “Heads I win, tails I don’t lose much” i.e. ‘low risk, high return’. The author of this book, Mohnish Pabrai is an Indian-American Investor, businessman, and Philanthropist. He is the Managing Director of Pabrai Investment funds, an investment fund based on the similar model to that of Warren Buffett’s Partnerships in the 1950s. Since inception in 1999, this investment fund has given an annualized return of over 28% and hence has consistently beaten the S&P 500 Index. 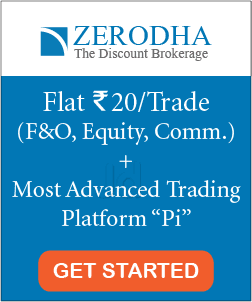 Moreover, Pabrai’s idea to invest in businesses with low risk and high returns makes perfect sense. Isn’t the main aim of any investment is to get the maximum returns with minimizing risks? 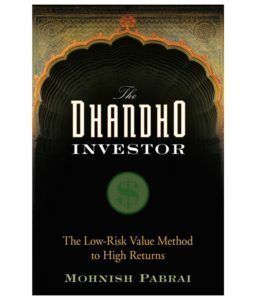 In the book, The Dhandho Investor, Mohnish Pabrai clearly explains his concept of ‘low risk and high returns’ with the help of few case studies in the first few chapters like Richard Branson of Virgin Company, Laxmipati Mittal of ArcelorMittal- world’s largest steelmaking company and few more. Overall, this is an amazing book to deepen the basics of value investing principles. The book is quite simple to read and complex investing principles are simplified in an easy-to-understand manner. You can read the complete book review of The Dhandho investor here. 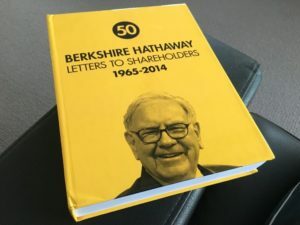 This is not exactly a book but a collection of letters written by Warren Buffett to his shareholders at Berkshire Hathaway. Warren Buffett has been writing these letters for over the past 50 years. And if you merge all the letters, the learnings are more than that of 50 books combined. Warren Buffett has never written a book himself. However, if you are interested to learn from him, these letters to shareholders serves the same purpose. Learning from the wins and mistakes of the greatest investor of all time is itself very pleasing. Overall, it’s the definitive book summarizing the winning techniques of the world’s greatest investor. 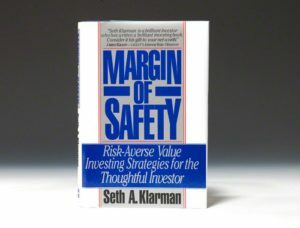 This is one of the most recommended books online for value investing and is on my watchlist at Amazon for a long time. It was originally written in 1991 and definitely contains many time-tested principles. However, I am not able to read it yet because the price of this book is way too high (at least with respect to Indian currency). Right now, I’m not sure whether I can generate enough ROI after reading this book or not. Anyways, feel free to check out this book here. 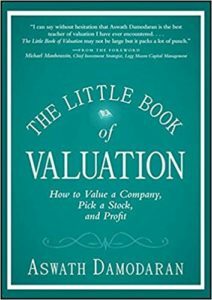 A short yet comprehensive book to learn how to value a company, pick a Stock and make profits. The author of this book, Aswath Damodaran is a Professor of Finance at the Stern School of Business at New York University (NYU), where he teaches corporate finance and equity valuation. There’s also a long version of the valuation concept written by the same author, named Valuation by Damodaran. Both these books are amazing to build the foundation of valuing stocks. Besides, Aswath Damodaran is also quite active on his youtube channel (with over 72k subscribers) where he teaches valuation and business modeling. Feel free to check out his youtube channel here. Probably the simplest, enjoyable, interactive yet highly educative books that I read on investing. Initially, I started with one up on wall street, then fell in love with the way the author describes the share market and end up reading all the three books written by him. Peter Lynch was a star mutual fund manager at Fidelity investment. He has an amazing track record on a consistent average annual return of 29.2% over a stretched duration of 13 years when he managed the Magellan fund. During this period, the asset under management of his fund which was originally $18 million in 1977 increased to $14 billion. He is one of the rare fund managers who gave a fairly good return to their investors for 13 years in a row. 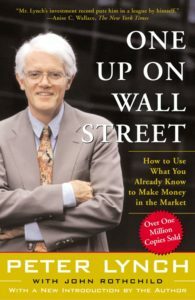 In his books, Peter Lynch shares his learnings as a fund manager and stock investor. All three of Lynch’s books follow his common sense investing approach, which insists that individual investors if they take the time to do their homework, can perform just as well or even better than the experts. There are a few qualities which are required for a successful investor. They are Patience, self-reliance, common sense, open-mindedness, tolerance to pain, detachment, persistence, humility, flexibility, willingness to do independent research, an equal willingness to admit to mistakes, and an ability to ignore general panic. You can read the complete book review of his book one up on wall street here. Overall, all these three books written by Peter Lynch will guide you the concepts of investing in a simple, logical, pragmatic and replicable manner.